Because of its importance, Econsultancy has covered CRO extensively over the past few years and has published an annual survey and report in assocation with RedEye on the state of the art. 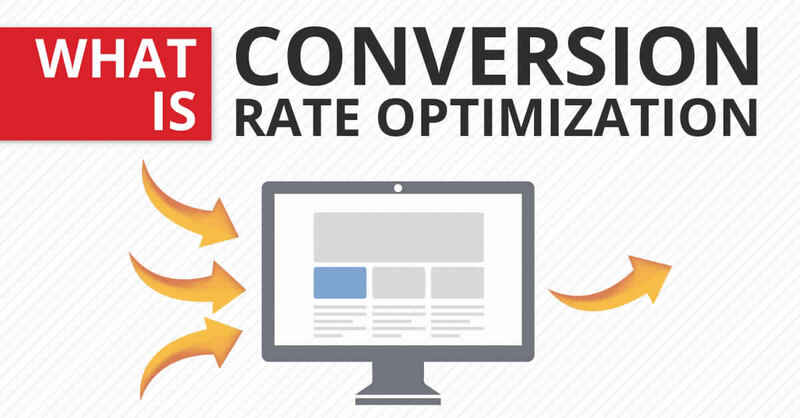 Conversion rate optimization (CRO) is a hot topic among marketers, with strategies and best practices the subject of much debate. Every year, Econsultancy publishes a report on the subject, surveying hundreds of ecommerce and marketing professionals to establish industry trends. Yet while the report offers extensive detail about how marketers increase conversions by improving Digital Marketing in India, websites and ecommerce journeys, new techniques are always emerging. To find out more about recent CRO innovations, Econsultancy, in association with Magento and eWave, recently held roundtable discussions in Hong Kong and invited dozens of client-side marketers to share their views. Highlights of the challenges, trends and best practices discussed on the day are summarized below. Participants began their sessions by letting us know what conversion rate optimization means for them in 2018. 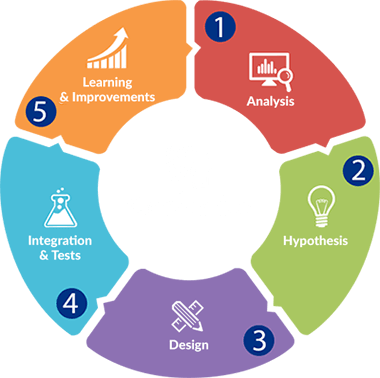 Apart from the usual points about improving website user experience (UX), attendees mentioned that CRO also involves improving both the upper and lower parts of the funnel. This means that CRO specialists are now assisting marketers with targeting, positioning, and messaging. And, because they have considerable experience with A/B testing, CRO professionals are also involved in testing channels and offers to help brands find the right combinations of both. Ultimately though, one delegate added, CRO must have increasing sales as its main goal. For brands who have not yet started optimizing the customer journey for conversions, participants suggested that they start gathering website, channel and point-of-sale data immediately. Then, brands need to assess whether they can optimize the whole journey themselves or whether they need to align with a partner, such as a distributor. Finally, one participant suggested that brands looking to optimize their funnel need to take a ‘holistic’ view of attribution including both online and offline touchpoints. In-store campaigns of Digital Marketing in India, another added, often boost ecommerce sales. Analyze user sessions and mouse ‘heatmaps’ to see how individual consumers use the site. The technology to achieve this is now widely available. Use A/B testing extensively. But only run tests on specific segments, if traffic allows. Automate abandoned cart lifecycle emails. Doing so delivered great results for one attendee’s site. Use retargeting on search, social and display. Marketers agreed that retargeting is a very effective tactic. One participant added that apparel retailer Zalora does it very well. Make sure both mobile and desktop experiences are optimized. Mobile is often where last-minute purchases happen. Use responsive design on the website, but only for small browsers and tablets. Smartphones require a specific site which leverages mobile features such as geolocation for store finding, click-to-call, and augmented reality (AR). Attendees also spoke about some of the frustrations they face when working to increase conversion rates. First off, specialists struggle with data. Some said that they had trouble accessing data due to cultural and backend legacy issues; others bemoaned recent EU legislation (GDPR<) which hinders their ability to track and serve customers more effectively. Participants also noted that increasing levels of cross-border trade is making CRO more difficult. Ecommerce conversions, they said, now have as much to do with tax, inventory, and shipping as they do with website performance. Finally, CRO specialists struggle with offline conversions. One delegate indicated that it was difficult to find one system which integrated offline point-of-sale systems with online tracking data. Without this integration, the path leading to an offline conversion cannot be captured or, indeed, optimized. Marketers felt that CRO will have to evolve to remain useful. The most important change will be new systems which can reconcile customer journey data across all channels, including offline, and deliver more accurate attribution reports. Going further, participants are optimistic about using artificial intelligence for CRO. AI, they explained, will improve personalization, increase offer relevancy, and help sites drive conversions – and upsell. Perhaps the most significant trend for CRO is that despite two decades of using ecommerce, consumers still prefer face-to-face transactions by a wide margin in most categories. Thus, measuring offline journeys is key to the future of CRO and, as one particpant noted, means that conversion optimization is still an ongoing exercise. Yet as technology develops and customer expectations grow, CRO techniques change as well. So what are the trends which are driving CRO in 2018? To find out, Econsultancy recently held an event in Sydney in association with Magento and eWave and we asked dozens of client-side marketers to give us an update on how CRO is changing. Some attendees felt that CRO was going 'back to basics' and they were spending their time re-examining standard ecommerce site components such as product titles, content descriptions, and buttons. Others, however, said that because of a trend toward website personalisation, CRO specialists needed to work on optimising the overall customer experience, as well. As a result, CRO techniques are now being used to optimize 'points of engagement' on websites as well as what is traditionally thought of as a conversion. One participant described CRO specialists as 'detectives' looking for issues and solutions. Because of this designation, CRO practitioners now need all available customer data to do their job. This includes 1st and 3rd party data as well as customer and industry benchmarks which help them learn from other industries and organisations. Yet CRO specialists still have a specific job to do, another noted, and that is to improve business results on their website. Doing so remains difficult as few companies have the data necessary for a single view of the customer. Business units - Marketing, customer service and ecommerce teams all have customer data but it isn't always shared with those tasked with CRO. Attendees were hopeful that artificial intelligence (AI) solutions may eventually help CRO practitioners join up and make sense of the complicated, cross-channel data necessary to do their job. Attributing a conversion to marketing channels is a key requirement of CRO, yet most attendees indicated that they were still struggling in this area. Some, who work for pure-play ecommerce companies, indicated that they were making progress with attribution modeling. Others, such as those from omnichannel retailers, said that attribution has become political at their organisations and, as a result, there were different KPIs for online and offline channels. For those focusing on online conversion, last click attribution is still the most widely-used model but attendees agreed that it is not ideal. One participant pointed out that CRO specialists are aware of the limitations of the model (i.e. that it doesn't take into account any of the previous consumer touchpoints), but they are still not sure how to address the issue. B2B marketers indicated that they face additional challenges as they have less data to work with than B2C marketers and that they often suffered from inaccurate data for real-world customer interactions (e.g. sales reps have multiple meetings with one prospect and not properly recording the interactions). Participants said that optimising using A/B testing was now very-well understood among CRO practitioners and that it is being used extensively. One outstanding issue, though, is that A/B tests are not always conclusive as the performance of the 'B' variation is often similar to the original 'A'. Others pointed out that their companies lack a unified testing methodology across the business. This has reduced the amount of time, resources and budget allocated for A/B tests and impacted their ability to optimize across the site. Attendees agreed, though, that there have been positive changes at companies with regards to CRO. They indicated that a 'test and learn' approach is now a fundamental part of ecommerce and said that the next step is to extend the optimisation mindset across the rest of the business.